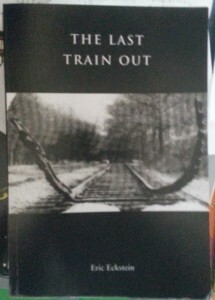 The Last Train Out is a very moving and important book about the Holocaust, it contains many details which help the average person understand why so many Jews didn’t leave Germany before and during WWII and why so many of the older generations stayed behind when the younger generations left. It’s a long book at 440 pages and I spent most of that time with my mouth agape at the details and intensity of the emotions within the book and within me. The author has been through or heard first hand from survivors so he knows what he’s talking about. He was a teenager at the time and his family managed to get him to safety in England where he was interned as an enemy alien when war broke out and then sent on the Dunera to Australia. In the book he is Rudi who has good letter contact with his parents for some years. 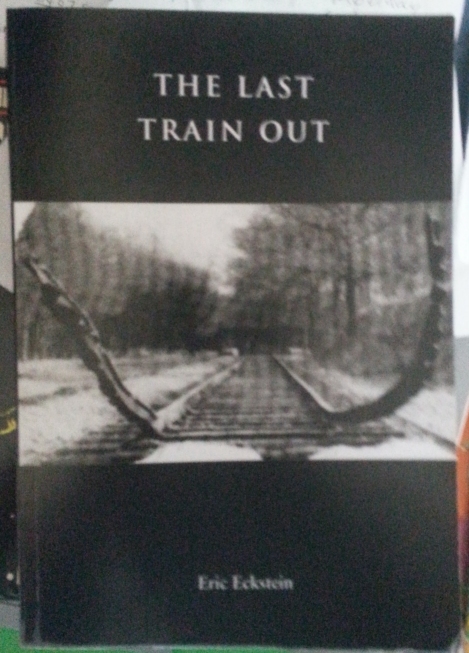 Eckstein was sought out by a Dutch Jew after the war who had known his father in Westerbork transit camp and was able to tell much of his life there. He also met one of only three Dusseldorf survivors of the extermination camp at Minsk, Belarus, where his mother perished. This book has many details. It includes the many times they said to each other ‘let’s see how it goes’ and the many times they talked about Rudi’s grandmother as being safe as they won’t bother about the old ones. There are many discussions on the Wartenummer, the number which would have gotten Rudi’s mother, Sophie, to safety in the US, but only if it had come up. Also, many discussions on the good people helping to hide the Jews or helping to feed the Jews. It seems some of these good people did actually charge them rent for putting them up in a room in their house, a detail I’d never heard of before. One of the things challenging about this book is the editing. It was written by a very good amateur but it looks as if it wasn’t edited too well and that makes it more challenging to read as you’ve got a conversation by two people in the one paragraph. Instead of splitting the two people into two different paragraphs so your eye can easily see they are two different people it’s all in one I understand this would make the book even bigger but as there’s nothing that can be cut out it can’t be helped. There’s a lot of repetition I consider really important as it emphasises their thinking and their problems. I suggest if you can get hold of this book you take your time reading it to help understanding. I don’t know where you’ll find it unless you borrow it from me as I haven’t managed to find another copy anywhere on the web. Here’s a link to Bookworld where it’s listed but not in stock. Eckstein should write another book about his personal experiences of being sent to England, being interned as an enemy alien and then being sent here on the Dunera. All very important experiences that should be documented. I suggest he get going on this as he’s not young.